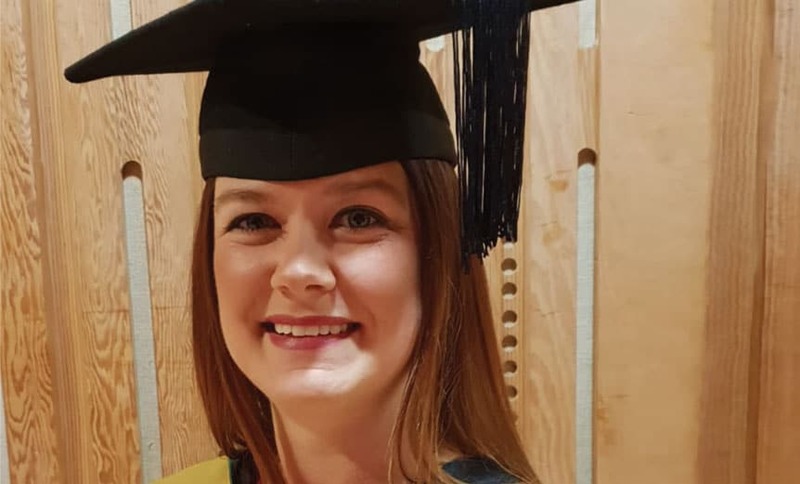 Gina Tye, 34, from Nottingham, was part of the first group to take the ‘fast-track’ career development from Level 4 BTEC in ophthalmic dispensing (Cert 4) to becoming a dispensing optician (DO), before then qualifying as a contact lens optician (CLO) in last year. She told Spectrum about her five-year journey – and its romantic ending. What prompted you to enrol on the Cert 4 course? I joined Specsavers at 21 after working in retail, then worked my way up from optical assistant to dispensing manager within about three years. I found that it was quite difficult being dispensing manager on a shop floor as busy as ours without being a DO. My manager told me that Cert 4 could be a fast-track route to becoming a DO as it’s recognised as an alternative to the first year of the course – meaning I’d be able to qualify in two years rather than three. What did Cert 4 involve? I completed it via online study and assessments, workplace activities and tutor-led workshops. It took about nine months. All the tutors were fantastic – friendly and supportive. My supervisor Nicole Thacker – one of the retail directors and a DO – was also supportive throughout. How did Cert 4 benefit you in store? It made me more useful in my role as dispensing manager, particularly as it allowed me to dispense children – it meant I could be more independent and didn’t have to ask colleagues for help. I think everyone should do it, as it gives you more skills and develops your knowledge about how things work. What was the dispensing course like? I completed it with ABDO College, mostly by distance learning, although there were two periods of block release lasting two weeks each. That was like nothing I’d ever done before, and to begin with I had problems with the thought of walking into a room of people I didn’t know. But in fact I enjoyed meeting new people, and I made some great friends who I still see now. The course was quite challenging, particularly the maths, which isn’t easy for me. But the store team were really encouraging and there was always someone to help or answer my questions. At what point did you decide to progress further? I liked the idea of becoming a CLO when I first started working at Specsavers. However, at the time it wasn’t possible for me to spend weeks away from home on block release, so I never thought I’d have the opportunity. But my circumstances changed, and at the end of the dispensing course I thought, ‘I could do the Contact Lens Certificate now.’ The store were really supportive. We had a lot of conversations before I signed up because it’s a tough course, but they always said they’d back me if I went for it. What was the Contact Lens Certificate course like? I enrolled on the course with ABDO College – it was a combination of distance learning, practice-based learning and two periods of block release lasting a week each. The theory course took a year, then it took me another year to build up a base of patient case records before I was confident enough to sit the practical exams. There was so much to learn – from understanding all the store equipment to communicating with the patients to promoting the business – and the biggest challenges were just fitting everything in and being confident with my own decisions. There were times when I felt like dropping out, but concentrating on the end goal got me through. The tutors were all very supportive and the store also really helped – there was always someone to explain things or help me work through case records. In August I got married to David, who also works at Specsavers Nottingham, and in November we graduated together at Canterbury Cathedral! David joined Specsavers as an optical assistant four years ago – in fact, I interviewed him. Then he completed Cert 4 and started his dispensing course the same year I started my CL course. I got my results the week before the wedding, and he got his on the day! How’s life now you’re a CLO? I love it. It’s a really interesting job and the industry’s always changing. You get to see different people and solve challenges. It’s also amazing to feel part of something that’s going to change people’s lives. It’s been a hard but fun five years from doing Cert 4, and I’m so pleased to have had the opportunity to be part of the guinea pig group of fast-tracks and achieve something that I never thought I’d do.